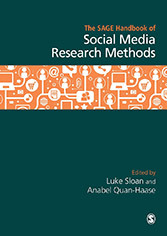 Description from publisher (SAGE Publishing): "The SAGE Handbook of Social Media Research Methods offers a step-by-step guide to overcoming the challenges inherent in research projects that deal with ‘big and broad data’, from the formulation of research questions through to the interpretation of findings. The handbook includes chapters on specific social media platforms such as Twitter, Sina Weibo and Instagram, as well as a series of critical chapters. The holistic approach is organised into the following sections: Conceptualising & Designing Social Media Research; Collection & Storage; Qualitative Approaches to Social Media Data; Quantitative Approaches to Social Media Data; Diverse Approaches to Social Media Data; Analytical Tools; Social Media Platforms. This handbook is the single most comprehensive resource for any scholar or graduate student embarking on a social media project." 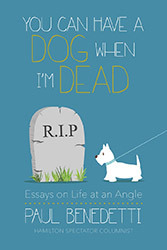 Description from publisher (Dundurn): "Hamilton Spectator columnist Paul Benedetti’s essays paint a wonderfully funny portrait of family life today. Paul Benedetti has a good job, a great family, and successful neighbours — but that doesn’t stop him from using it all as grist for a series of funny, real, and touching essays about a world he can’’ quite navigate. Benedetti misses his son, who is travelling in Europe, misplaces his groceries, and forgets to pick up his daughter at school. He endures a colonoscopy and vainly attempts to lower his Body Mass Index — all with mixed results. He loves his long-suffering wife, worries about his aging parents and his three children, who seem to spend a lot of time battling online trolls, having crushes on vampires, and littering their rooms with enough junk to start a landfill." 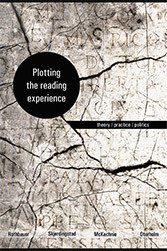 Description from publisher (Wilfrid Laurier University Press): "This book is about the experience of reading–what reading feels like, how it makes people feel, how people read and under what conditions, what drives people to read, and, conversely, what halts the individual in the pursuit of the pleasures of reading. The authors consider reading in all of its richness as they explore readers' relationships with diverse textual and digital forms. With contributions from multidisciplinary scholars from around the world, this book provides provocative insights into what it means to be a reader reading in and across various social, cultural, and political contexts. Its unifying theme of the reader's experience of reading is put into dialogue with theories, practices, and politics, making this a rewarding read for graduate students, faculty, researchers, and librarians working across a range of academic fields." Description from publisher (University of Toronto Press): "Crime reporting, in one form or another, is as old as crime itself. Almost all young reporters have spent some time on this beat, and their work affects all of us. Covering Canadian Crime offers a deep and detailed look at perennial issues in crime reporting and how changes in technology, business practices, and professional ethics are affecting today’s crime coverage. Social media in the courtroom, the stigmatization of mental illness, the influence of police media units, the practice of knocking on victims’ doors, the culture of masculinity in the newsroom: these are among the topics of discussion, explored from various disciplinary perspectives and combined with poignant interviews and thought-provoking introspection from seasoned journalists such as Christie Blatchford, Timothy Appleby, Linden MacIntyre, Kim Bolan, and Peter Edwards. 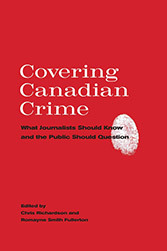 A critical account of the challenges involved in crime reporting in ethical, informed, and powerful ways, Covering Canadian Crime poses the questions that reporters, journalism students, and the public at large need to ask and to answer."